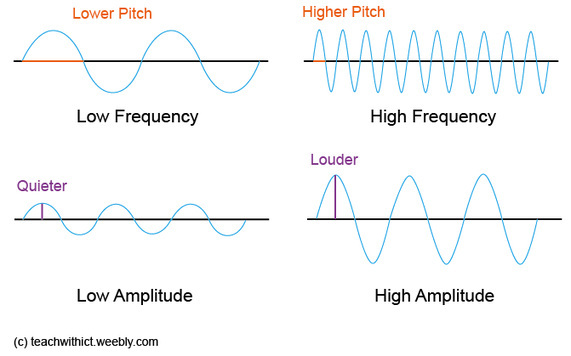 ​In this lesson, students explore how sound is represented in a computer system. Start the lesson by playing two samples of the same track (‪Tenacious D - Tribute “The Best Song In The World”), each compressed at different sample rates (See below). After playing the two samples, ask the students what they notice about the two tracks. Next, explain that, in the previous lessons, the students looked at how numbers and pictures etc. are stored in a computer using binary and that in this lesson they will explore how a computer stores sound. 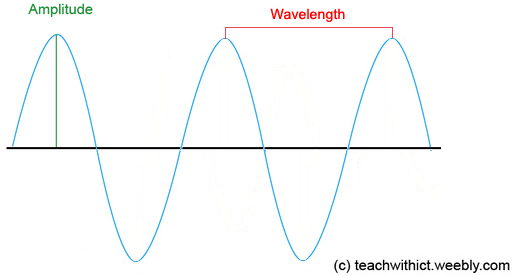 Explain that sound waves are analogue and that, in order to store the waves digitally on the computer, we need to convert the waveform into a numerical representation so that the waveform can be stored in binary. To do this, we use an Analogue-to-Digital Convertor (ADC). 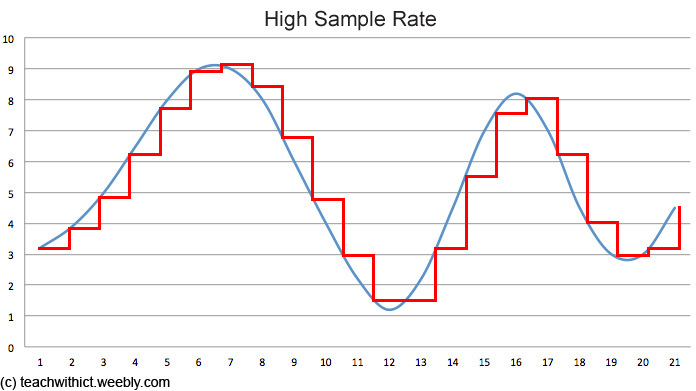 Next, explain how the quality and size of the file is affected by two factors - sample rate and bit rate. 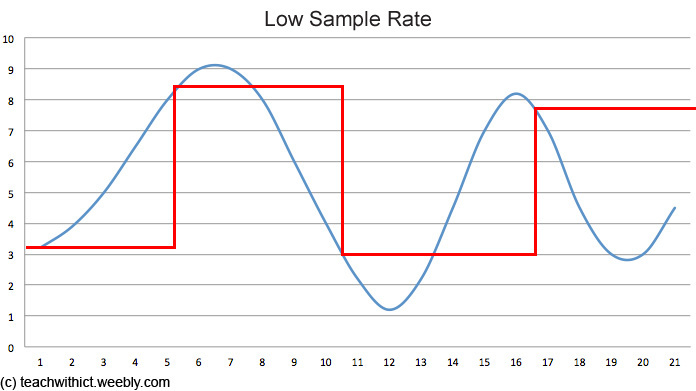 Explain that the sample rate refers to the number of samples taken every second and that the greater the frequency of the samples, the better the sound quality. Also explain that the bit rate refers to the number of bits used to store each sample and that the more bits that are sampled, the better the accuracy of the file but also the greater the file size. Finally, play the two samples from the beginning of the lesson and ask the students if they can identify which one was converted using the lower sampling rate. Alternatively, students could use Audacity (Free) to explore how sound is stored on a computer. Students could be given an .MP3 file which they open in Audacity and zoom in to see the value of each sample. 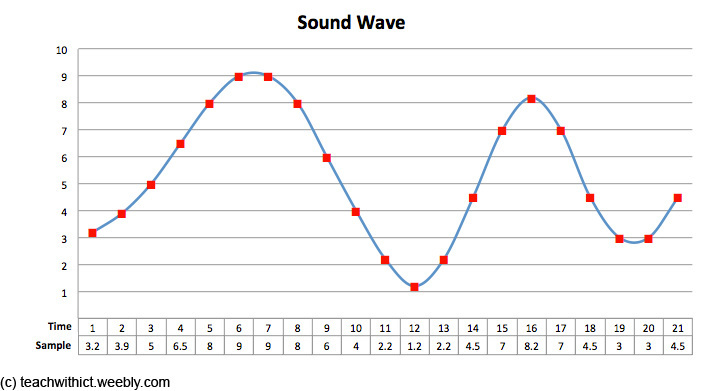 Students could then export the sound file using different sample rates and investigate the effect the sample rate has on sound quality. Extract from the CHRISTMAS LECTURES 2008: Chris Bishop - The Ghost in the Machine showing how sound is stored on a computer - Skip to 13:40.